Tony joined Talquin Electric Cooperative in 2016 as Director of Engineering &Operations. 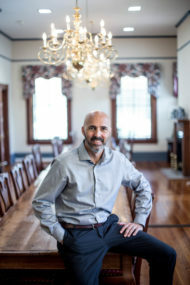 Tony has a Bachelor’s Degree of Science in Electrical Engineering from the University of Florida and a Masters of Business Administration from Florida State University. He came to Talquin with over 19 years of experience and leadership in the electric utility industry, encompassing engineering, system control and operations. Prior to joining the cooperative, Tony served as the Manager of Transmission and Distribution for the City of Tallahassee Electric Utility. Tony enjoys running, cycling and spending time with his wife Ann and their two sons.